Almost amusing is Daniel Gullotta’s attempt to use Margaret Mitchell’s 2003 critical review of Dennis MacDonald’s Homeric thesis in support of his contention that Carrier has as much egg on his face as MacDonald for (supposedly uncritically) jumping on MacDonald’s bandwagon. But if Gullotta has paid closer attention to both what Mitchell faulted in MacDonald to what Carrier himself concluded about MacDonald’s views, he would have seen they were not very far removed from one another! Abandoning the extreme form of the argument would allow one to avoid the dilemma MacDonald creates for himself throughout the book, as he repeatedly tries to deny the obvious influence of the Septuagint on the final form and the earlier traditions of Mark. It seems a futile task to deny that . . . the Scriptures of Israel, usually in the Greek version called the Septuagint . . . is a hypotext of Mark’s gospel, when the prophet Isaiah is quoted by name in the second line of the work! Placing attention on smaller units rather than the whole composition would involve a turn back to the form-critical approach that MacDonald claims to have dismantled (pp. 189-90), but it would make much better sense of some possible Homeric typologies and slight allusions than the proposed full-scale narrative weaving in and out of disparate episodes and discrete characterizations in the Odyssey and the Iliad. 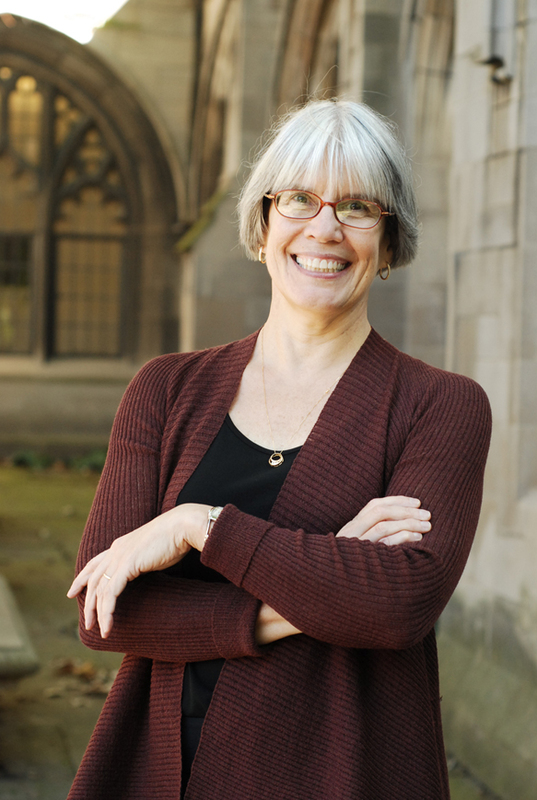 Abandoning the dichotomous approach would also open the way for what is most needed and what promises to be most productive: a study of how early Christian authors incorporated — sometimes integrating, sometimes merely juxtaposing — a range of cultural references, fragments, artifacts, and concepts into their writings,42 and, further, investigation of what that process and result mean for the rhetorical construction, historical makeup, and readerly possibilities of their presumed audiences. 42 For example, Roy D. Kotansky examines the sea voyages of a single section of Mark in reference to epic and folkloristic motifs about mythical geography from Homeric tales of the travels of Odysseus, together with a host of other Greco-Roman and ancient near east- ern sources, in order to reconstruct a range of resonances the narrative might have for ancient readers (‘Jesus and Heracles in Cadiz …. : Death, Myth, and Monsters at the ‘Straits of Gibraltar’ [Mark 4:35-5:43],” in Ancient and Modern Perspectives on the Bible and Culture: Essays in Honor of Hans Dieter Betz, ed. Adela Yarbro Collins [Atlanta: Scholars Press, 1998], pp. 160-229). But where some see such evocations, others see modern scholarly allegory (as in the response by David E. Aune, ‘Jesus and the Romans in Galilee: Jews and Gentiles in the Decapolis,” in ibid., pp. 230-51). Among all these, not every case is as certain as MacDonald claims (in some cases mere coincidence can be as likely an explanation of the noted parallels), and many cases may simply reflect adaptive coloring (the core narrative is not Homeric but has simply been tweaked using Homeric allusions and motifs), but in several cases the emulation is well established (where ‘coincidence’ is far too improbable an explanation) and extends to the very root and purpose of the story (and thus is far more likely a story Mark wholly invented than anything he inherited from prior myths and legends of Jesus), and this happens in enough places in Mark to firmly establish that such a method of invention and composition was a pervasive trend for Mark. But note especially that while Mitchell faults MacDonald for too often making light of the possibility of a source in Jewish Scriptures in preference to Homer, Carrier regularly points to the scriptural source as apparently coloured by Homeric influence. Thus for Carrier Mark’s portrayal of the dimwittedness of Jesus’ disciples owes at least as much to the fickleness of Moses’s followers as those of Odysseus. For Carrier (p. 411), Psalm 22 is shown in detail to be the primary source of Mark, with allusions to Homer being secondary (pp. 408f), five miracles of Jesus are said to owe their source to the stories of Moses rather than MacDonald’s views attributing them to Homer, and so forth several times over. In fact, the entire crucifixion scene is a fabrication, a patchwork assem­bled from verses in the Psalms, in order to depict Jesus as a standard Jew­ish mytho-type of ‘the just man afflicted and put to death by evildoers, but vindicated and raised up by God’.48 Numerous Psalms were mined for this purpose, but especially Psalm 22 . . . . Even the whole concept of a crucifixion of God’s chosen one arranged and witnessed by Jews comes from Ps. 22.16, where ‘the synagogue of the wicked has surrounded me and pierced my hands and feet’. Other texts Mark used to construct his crucifixion narrative include Psalm 69, Amos 8.9, and elements of Zechariah 9-14, Isaiah 53, and Wisdom 2.49 This is myth, not memory. Many scholars agree. Often Mark finds agreements between the Bible and Homer and thus uses details to double effect, simultaneously evoking both. For example, MacDonald sees Jesus’ refusal of an offer of wine on his death-march (Mk 15.23) as an imitation of Homer’s narrative of Hector’s death, who also refused an offer of wine. But this was also a fulfillment of Jesus’ own ‘Nazirite’ promise not to drink the fourth seder cup (the Cup of Redemp­tion) until the end of days (Mk 14.25).106 Mark likely intended both allu­sions, specifically to exploit the overlap of double meaning. It’s also known that much of the Gospels consists of rewrites of pre-Chris­tian Jewish tales (and sometimes pagan), from scripture and beyond, such as the way Matthew borrows from stories about Moses and then expands on that to turn Jesus into a full-blown Rank-Raglan hero . . . . or borrows from Daniel to rewrite the empty-tomb narra­tive of Mark, or (as we shall see) how Mark created the crucifixion narrative out of Psalm 22, or invented the notion that the disciples were fisherman in order to make Jesus into the new Odysseus with his clueless sailors. We already saw how nearly the whole core Gospel narrative can be derived from scripture . . . . , and that’s not even including the many scriptures we no longer have and which could thus have contained even more inspiration than we know about . . . . In fact. we’ll see that creating the Gospel narratives by rewriting both pagan and Jewish ‘scripture’ was the norm, not the exception. Parables and sayings in the Gospels also resemble those in Jewish rabbini­cal legends, often in style and sometimes even in content, and those legends also contain dubious narratives similarly constructed to communicate the moral of a story, not to preserve any real historical memory. Often influ­ences from either Jewish or pagan moral traditions can be detected or sus­pected . . . . . This literary fiction of the dense lackeys is adapted either from Homer’s similarly unrealistic depiction of the fickleness and incomprehension of Odysseus’s crew or from Exodus’s equally unrealistic depiction of the fickleness and incomprehension of the Jews — most likely both (as l suggested before). In each case such ‘group stupidity’ only makes sense as a deliberate literary device; in Mark’s case, to illustrate something he wanted to say about the gospel — and possibly about the pre-Pauline sect Mark was dissenting from, which was associated with the first apostles, most especially Peter, James and John. . . . .
Another double parallel is how Mark patterns the disciples after the Jews in the Exodus, who are likewise implausibly fickle and stupid, never under­ standing anything even after repeatedly witnessing Moses perform incred­ible miracles just like the disciples with Jesus), but also after the crew of Odysseus, who are likewise fickle and stupid. 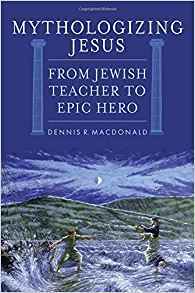 For example, MacDonald compares Odysseus’ ‘untriumphal entry’ into the city of the Phaeacians with that of Jesus’ into Jerusalem, but these events are not remotely alike and the latter clearly draws its inspiration from Zechariah 9.9. 71. For the many scriptural inspirations and allusions Mark employed in constructing this narrative see Deborah Krause, ‘The One Who Comes Unbinding the Blessing of Judah: Mark 11.1-10 as a Midrash on Genesis 49.11, Zechariah 9.9, and Psalm 118.25-26′, in Early Christian Interpretation of the Scriptures of Israel: Investigations and Proposals (ed. Craig Evans and James Sanders; Sheffield: Sheffield Academic Press, 1997), pp. 141-53 (e.g. 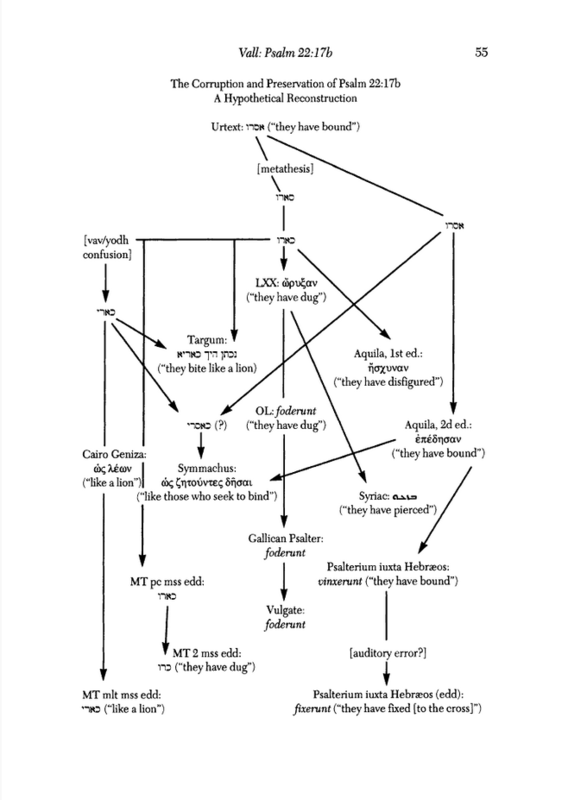 ‘Mark 11.1-10 presents a complex web of organically related Scripture traditions’, p. 147). Matthew also ‘improves’ on Mark by actually quoting the scripture that Mark clearly also used as his source material but didn’t actually mention: Zech. 9.9, ‘Behold! Your king is coming to you! He is righteous and brings salvation. He is meek, and riding on a don key [and] on a baby donkey’. One can only wonder how Gullotta came to write what he did by way of criticism of the book he was reviewing. Mitchell, Margaret M. 2003. “Homer in the New Testament?” The Journal of Religion 83 (2): 244–60. Posted on 2018-08-16 00:10:54 GMT+0000 by Neil Godfrey. This entry was posted in Uncategorized and tagged Carrier: On the Historicity of Jesus, Daniel Gullotta, Gullotta: On Richard Carrier’s Doubts. Bookmark the permalink. Thanks to Neil for this penetrating analysis of Carrier and MacDonald in the context of criticism. These two actually had a scholarly debate, available on YT, about the historicity of the Jesus of the NT. I’d like to see Earl Doherty revise his 2005 book on the Jesus Puzzle in the light of the knowledge gained in the last 10-12 years. The fact that big pieces of the puzzle went missing is a very important clue. And I’m still holding out for Bart Ehrman to see the light. A debate between him and Joseph Atwill or between Joseph Atwill and Richard Price would be great. I wish D.M. Murdoch was still with us. Carrier: “Even the whole concept of a crucifixion of God’s chosen one arranged and witnessed by Jews comes from Ps. 22.16, where ‘the synagogue of the wicked has surrounded me and pierced my hands and feet’. – ωρυξαν χειράς μου και πόδας (“they have DUG my hands and feet,” Septuagint) – I think “pierced” as a translation is more of a fundamentalist Christian translation than a critical/scholarly one (though Price’s translation as “pierced” agrees with Carrier in Price’s “New Testament Narrative As Old Testament Midrash”). 14.61;15.5 Silence before accusers, Ps 38.13-14? Isa 53.7? Note that the “pierced” passage is not included. This volume was compiled by an international team of some of the best Judaism scholars in the world. For those who like to “dig” deeper, from Vall, Gregory. 1997. “Psalm 22:17B: ‘The Old Guess.’” Journal of Biblical Literature 116 (1): 55. • Gullotta gives one reason: MacDonald’s scholarship. Thus we are left waiting for the other shoe to drop: And what other scholarship?